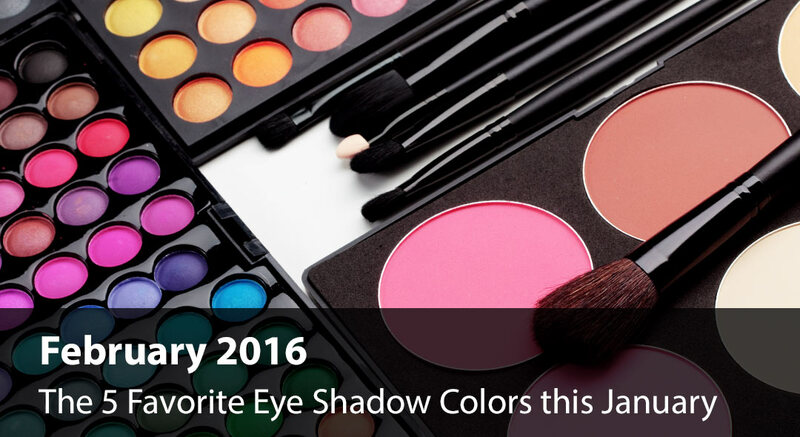 Warm shades dominated the eye shadow ranking during the first month of this year. Over 2 million users in the U.S. applied eye shadow in YouCam Makeup. Both neutral classics and vibrant hues came in as the favorite eyeshadow colors this January. The champion eye shadow color this January was the “Precious Metals” duo featuring gold and copper. The catwalks were inspired by metallics as gilded, golden eyelids ruled the runway at the Marchesa A/W 2015 show. Coming in at 2nd place this season, people preferred the soft black and pearl color combo “Black Tie.” This elegant black and white pairing brings out the natural beauty of your eyes for nearly every skin tone. This “Smokey” trio at the number three spot includes rich granite, deep sable, and ebony black to create those sultry, come-hither eyes. A favorite runway diva Kendall Jenner, the classically crisp smokey eye look never goes out of style. This lively trio of yellow pear, coral and eggplant came in as the 4th most popular eye shadow palette. Taken together, the warm purple and pink colors of the “Dusk” trio create a subtle feminine pairing. The “Rusty Rose” trio appears in 5th place this season as red eyeshadow became a developing celebrity trend in recent months. We saw Selena Gomez at the AMAs rocking the rosy shade on her lids and Olivia Wilde going bold with burgundy eyes at the Golden Globes .